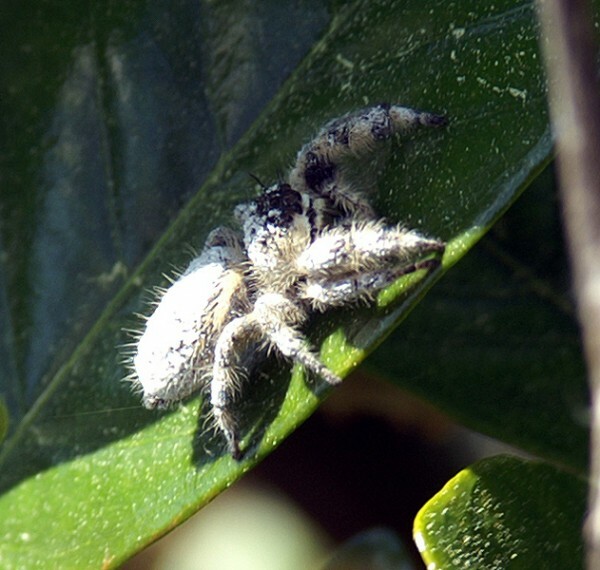 The grey wall jumper, Menemerus bivittatus, is a small black and white spider that is usually found on the outside of man made structures. This one found its way in our house and after it was escorted out, was kind enough to pose for a portrait. This entry was posted on Wednesday, July 25th, 2012 at 3:53 pm. It is filed under Animals / Wildlife, New Images and tagged with animal, arachnid, black, grey wall jumper, hairy, Menemerus bivittatus, spider, white. You can follow any responses to this entry through the RSS 2.0 feed.